Hong Kong Film Composers' Guild was founded yesterday, the event invited Hong Kong Film Development Council's chair Ma Fung Kwok, Hong Kong Federation of Film Workers permanent honorary president Ng See Yuen as guests. 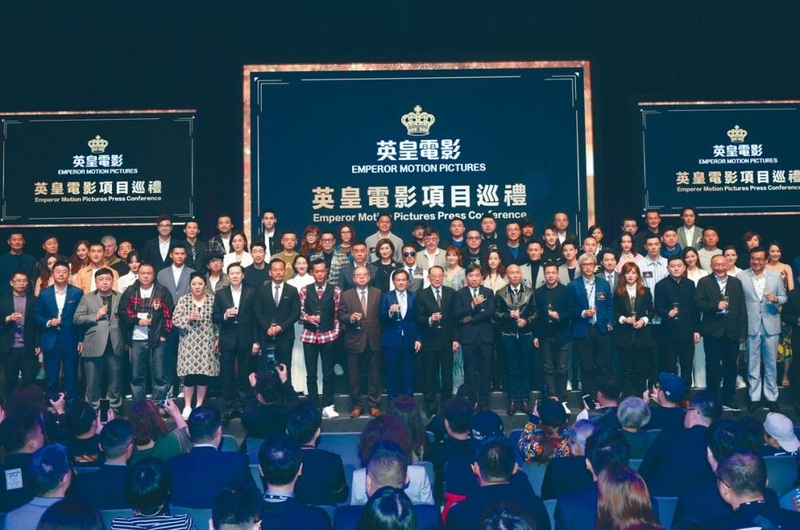 The guild's first president Wai Kai Leung, vice president Peter Kam Pui Tat and other Hong Kong film composer association representatives conducted the launch ceremony. Other guests included Derek Yee Tung Sing, Philip Keung Ho Man and Sam Lee Chan Sam. 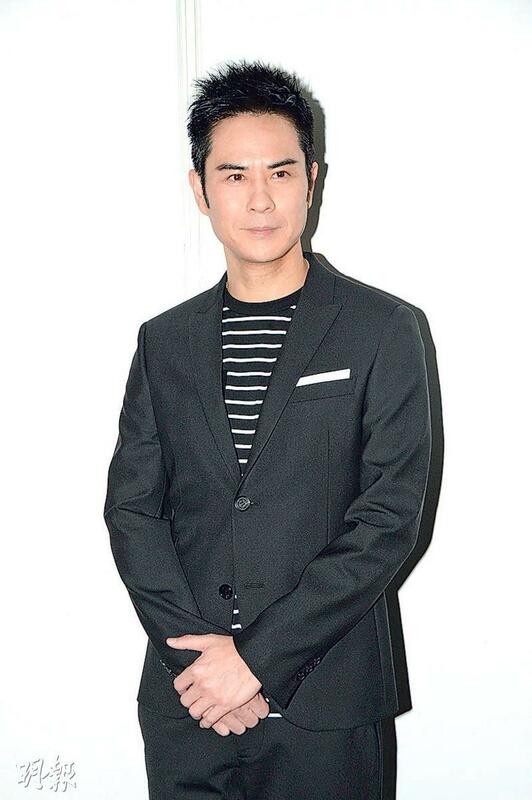 Hak Jai recently performed the theme song for his film REMEMBER WHAT I FORGOT (DIN YING CHI HON). He said that everyday he would record for five or six hours at the recording studio for three days. "I like to sing, but it really is different from singing at concerts. I just realized that I had a lot of relaxed pronunciation, the pitch had to be fixed. Because the entire film has been made for such a long time, so some of the feelings weren't there. The company one day arranged for me to see the movie for my feelings to return, then I returned to the recording studio to record." Would he dare to sing? He said that he would. He also pointed out that earlier he sang a duet, but this time was a solo so he was a little nervous. How did his wife feel about his singing? He said, "My wife says that she really likes it. Earlier I recorded another version for her. After listening she said that I sang very stiff. This time was the soft version." 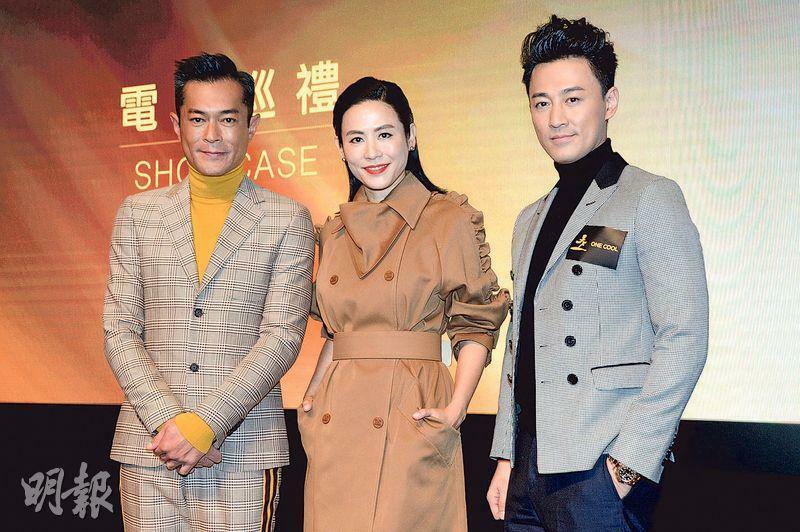 Louis Koo Tin Lok's "One Cool Film" yesterday held its film showcase at the Hong Kong International Film and Television Market and announced many films that would start production this year. 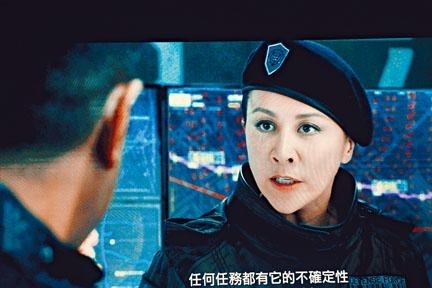 They included WARRIORS OF FUTURE (MING YUT JIN GEI), BACK TO THE PAST (CHUM CHUN GEI), WITNESS OUT OF THE BLUE (FAN JUI YIK CHEUNG), ON YOUR MOM, GET SET, GO! (MA MA DIK SUN KEI SIU JI), REMEMBER WHAT I FORGOT (DIN YING CHI HON), STORM CLOUD (FUNG WON), WHERE IT ALL BEGINS (GAI DAN JAI), A LIFE OF PAPERS (JI PEI POR POR), SECRET DIARY OF A MOM-TO-BE (BABY FOOK SAU GEI), TRIER OF FACT (SAU KYUT JEH), STAR DUST (SING CHUN), THE WAY WE KEEP DANCING (KONG MO PAI 3) and LINE WALKER 3 (SI TOH HUNG JEH 3). Gillian Chung Yun Tung, Karena Ng Chin Yu, Janice Yan, Raymond Wong Pak Ming and son Edmond Wong Chi Wun's family of four, Annie Liu (Lau Sum Yau) two nights ago attended the Mandarin Film Spring Banquet. Chin Yu saw Wong Chi Wun's younger son, could not help but pick him up to play with him. Janice Yan broke the zipper on her dress and had to return backstage to fix it. 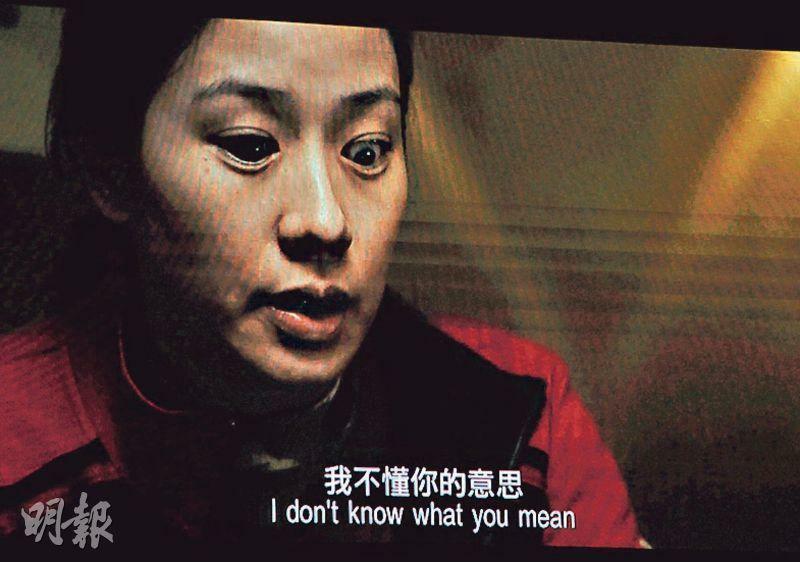 Chin Yu and Ah Gil last year worked on a movie about a women's prison. Chin yu said, "We shot at the hottest time in the summer. The temperature reached 40 degrees (Celsius). The prison was constructed in a studio without any window. I was at melting point for a long period of time. The film had many woman fight scenes, everyone was pulling hair. I remembered a brawl, in which I had to throw dishes and slap people. (Did you have to use foul language?) Because of the film rating I didn't need to, if I have to I wouldn't mind. I wouldn't have any baggage. Normally when I want a release I would use single word English curses." Charlene Choi Cheuk Yin yesterday went to two events at the Hong Kong International Film and Television Market. First she attended the Emperor Motion Pictures showcase, then she promoted her film THE LADY IMPROPER (FEI FUN SHOOK NUI)'s photography exhibit. Ah Sa revealed that she would have five films and television series on the way. Today she first saw the teasers for 77 HEARTWARMINGS (GUM DUNG TA 77 CHI) and DETECTIVE VS. SLEUTHS (SUN TAM DAI JIN) and she looked forward to them very much. She said that after making DETECTIVE she felt like she just survived a disaster, everyone felt like they just experienced the end of the world and they were the only earthlings left. In one scene her head had to be covered in plastic wrap. She said, "It was very tough, but someone asked if that was me. I was very heartbroken." Ah Sa also experienced the brink of death. "Originally the wrap went around twice, with two holes poked for air. However the director said that they would show up during the close up shot and added another layer. I truly almost died." mm2 2019 film rundown yesterday took place at the Hong Kong International Film and Television Market. The company's Hong Kong executive director Ha Yu attended with actors Cecilia So Lai Shan, Lam Yiu Sing, Endy Chow Kwok Yin and others. Ha Yu pointed out that this year 10 films and crime web drama will be produced. He will have a chance to perform and welcome his son Dixon Wong Yik Sun and his girlfriend Cheronna Ng Ka Hei to perform as well. He has not rushed them to wed yet. His son was already adult, if he wanted to wed he would. He would not interfere with their lives. Ha Yu asked about Susanna Kwan Kuk Ying's condition but she has not responded. He did not want to hear any bad news as he would like to keep working together in the future. So Lai Shan said that her HELL BANK PRESENTS: RUNNING GHOST (MING TUNG NGAN HONG DUT YEUK: FAN SUN JUNG BA JIN) character was hyperactive unlike her, like her character has made her active as well. The 43rd Hong Kong International Film Festival held its opening ceremony last night at the Convention Center. Opening ceremony guests included the Commerce and Economic Development under secretary Dr. Bernard Chan Pak Li, Hong Kong International Film Festival Association president Dr. Wong Ying Wai, film festival ambassador Aaron Kwok Fu Sing, film festival youth ambassador Jennifer Yu Heung Yi, the opening film BODIES AT REST (CHUM MUK DIK JING YUN)'s director Renny Harlin, actors Nick Cheung Ka Fai, Richie Jen (Yam Yin Chai), Carlos Chan Ka Lok, Roger Kwok Chun On, Ron Ng Cheuk Hei. 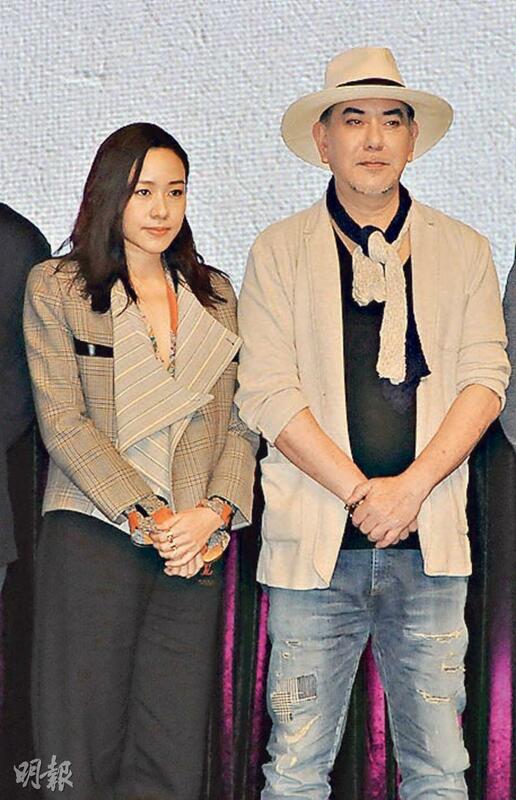 Other guests included director Johnnie To Kei Fung and his wife, Mainland director Jia Zhangke and his wife. President Wong Ying Wai said, "The Hong Kong International Film Festival is an annual event for film cultural exchange, so far 85 shows have been sold out. We have invited a group of domestic and internationally renowned filmmaker to the film festival to provide the valuable opportunity for sharing and exchanges among colleagues." Er Dong film yesterday held a Hong Kong International Film and Television Market press conference. P STORM (P FUNG BO)'s actors Louis Koo Tin Lok, Raymond Lam Fung, Kevin Cheng Ka Wing, Gordon Lam Ka Tung, Chrissie Chau Sau Na, Patrick Tam Yiu Man and I CORRUPT ALL COPS 2 (GUM CHIN DAI GOK 2 SEI DAI TAM JEUNG)'s producer Wong Jing and actor Jacquelin Chong Si Man attended. 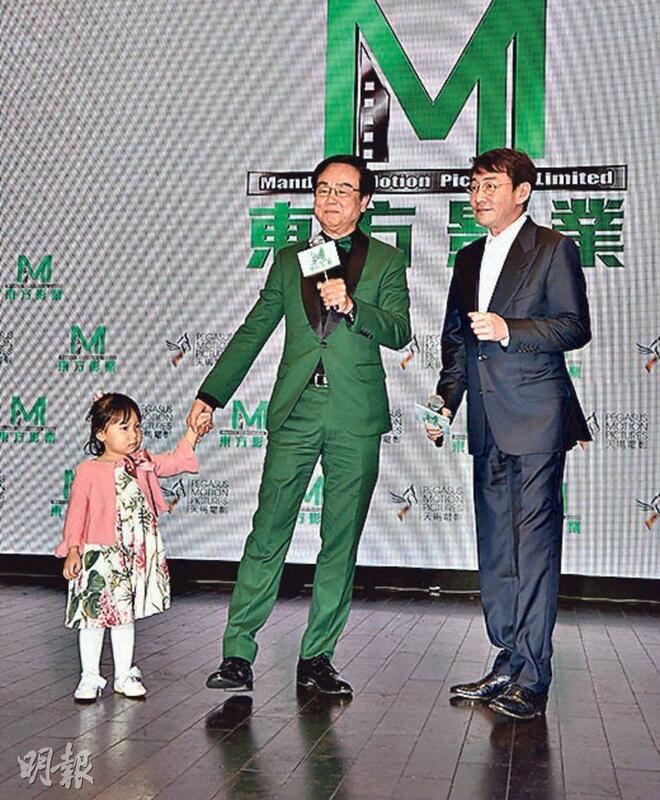 Donnie Yen Chi Tan and Lynn Xiong (Hung Doi Lam) yesterday appeared at the Hong Kong Film and Television Market's IP MAN Hall to promote IP MAN 4. Speaking of IP MAN reaching its finale with its four installment, Chi Tan admitted the most beautiful thing should come to an end. He was not upset, as perhaps there would be a new start. In addition nothing was forever in film, he even joked that maybe in the next one Hung Doi Lam would return. Would he like to make a fifth film? He said, "Film has a lot of imagination! If the audience asks for it, with new co-stars that can stimulate everyone and new elements artistically, I wouldn't block off my own road." Would the fighting in IP MAN 4 be more difficult? 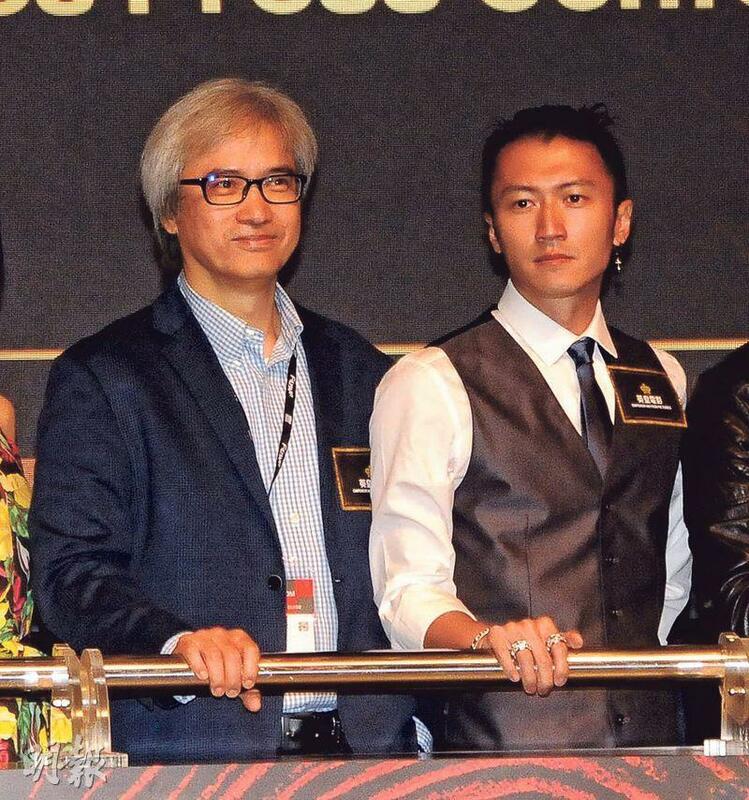 Chi Tan stated that if the audience would be happy from watching it and he was able to fight, he already did his job. 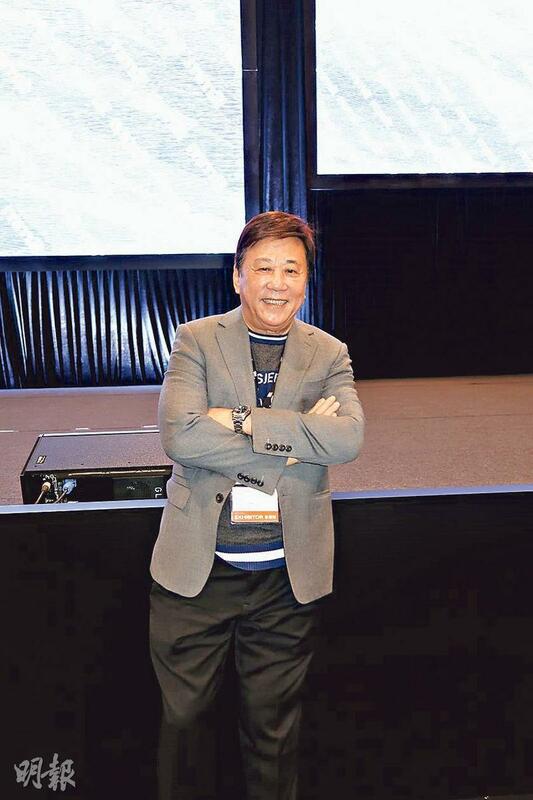 He said, "I fight no matter the genre, in each movie I would look for breakthrough for even more sensory stimulation. Yet each film would have its chemical reaction." 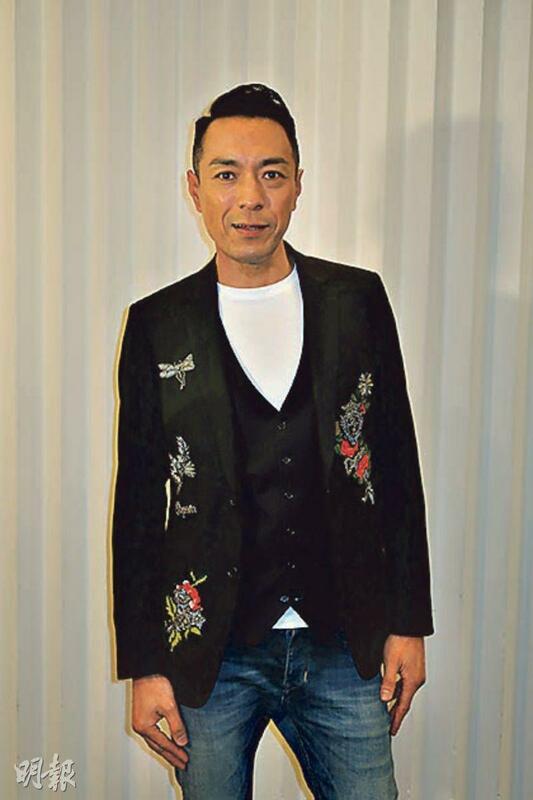 Lynn said that she was very envious of how much Yen Chi Tan loved and respected his wife, while making IP MAN she was single and she wanted to find a husband like Yen Chi Tan. In the end she was able to find a good husband. The Hong Kong Entertainment Expo has already stepped into its 15th year. This time the Entertainment Expo would continue to open with the Hong Kong International Film and Television Market (Filmart). 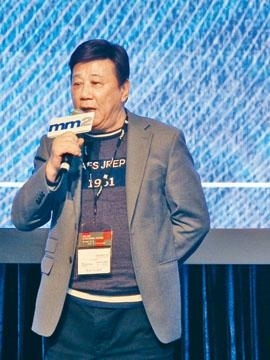 Filmart has also stepped into its 23rd year. Over 880 exhibitors from 35 countries and regions yesterday unveiled their exhibits, for the next four days the Hong Kong Convention Center will be where music, film and television big shots gather to promote their latest film and television products to buyers from around the world. This year would have even more regions that set up exhibits or exhibition halls for the first time, which fully reflected the Filmart's important position in the Greater Bay Area and solidify Hong Kong's position as the city of creativity.